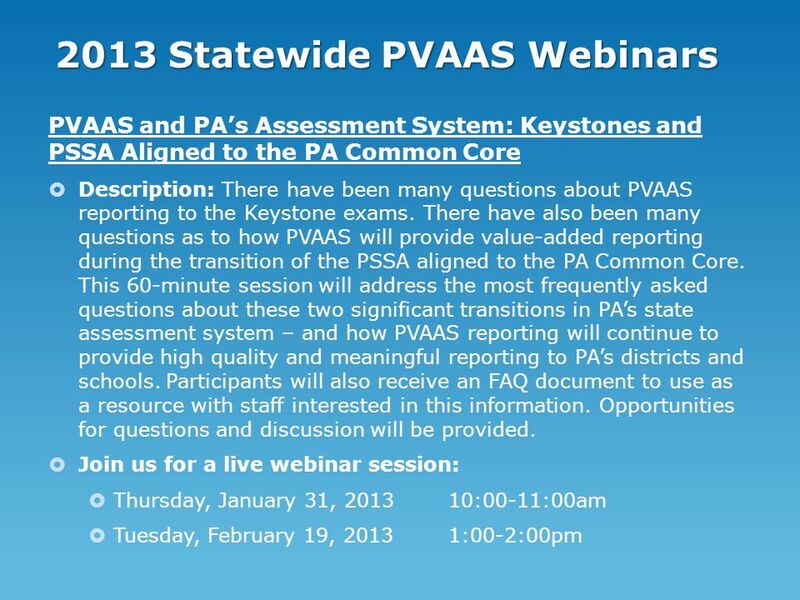 PVAAS Updates to PAIU CC PVAAS Updates to PAIU CC January 2013 Kristen Lewald and Joan Perekupka PVAAS Statewide Team for PDE Lancaster-Lebanon IU13. 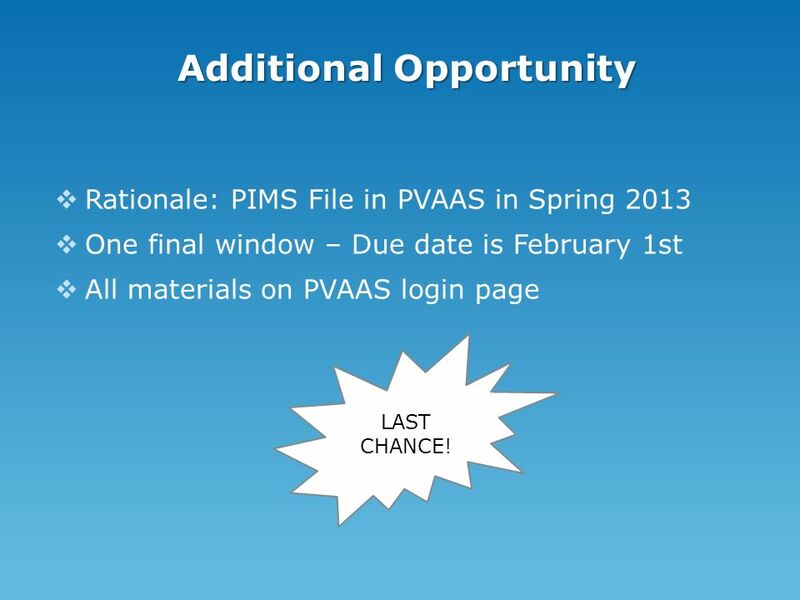 5 Additional Opportunity Rationale: PIMS File in PVAAS in Spring 2013 One final window – Due date is February 1st All materials on PVAAS login page LAST CHANCE! 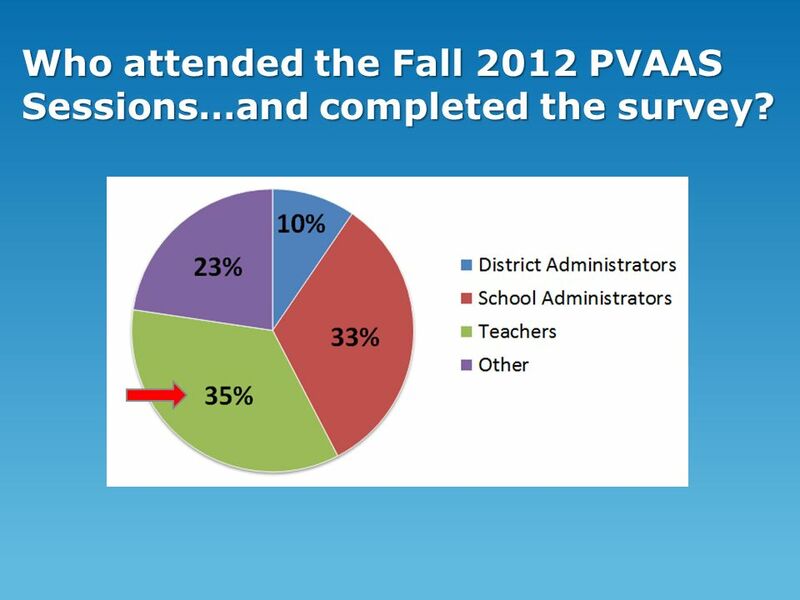 7 Who attended the Fall 2012 PVAAS Sessions…and completed the survey? 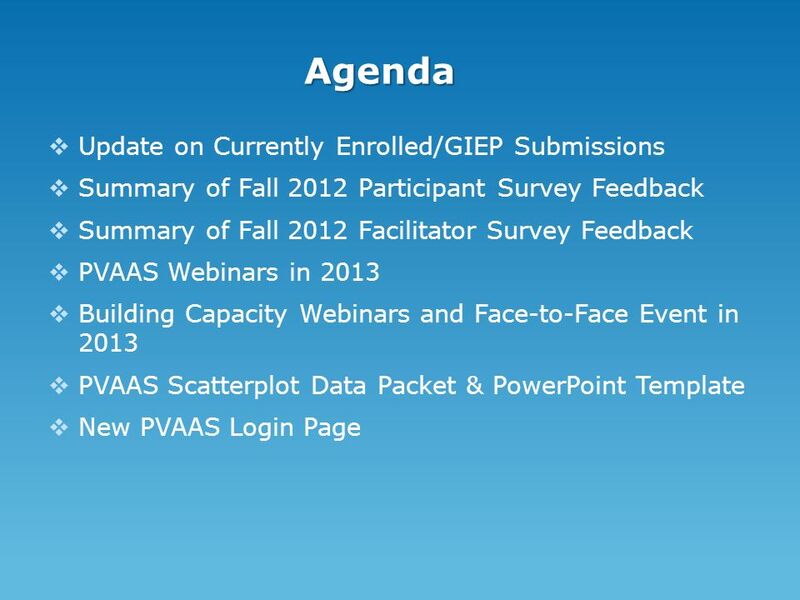 8 Prior to the 2012-13 school year, have you participated in any PVAAS training, webinars and/or face-to-face professional development? 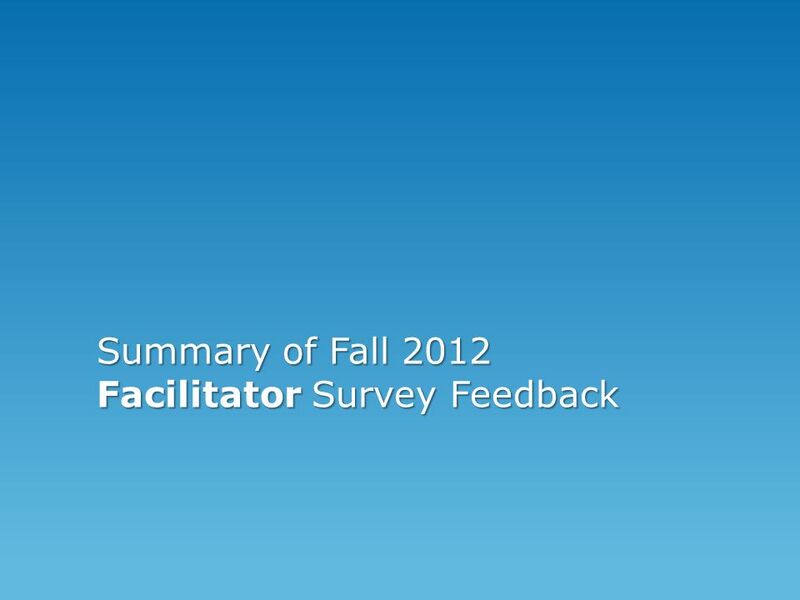 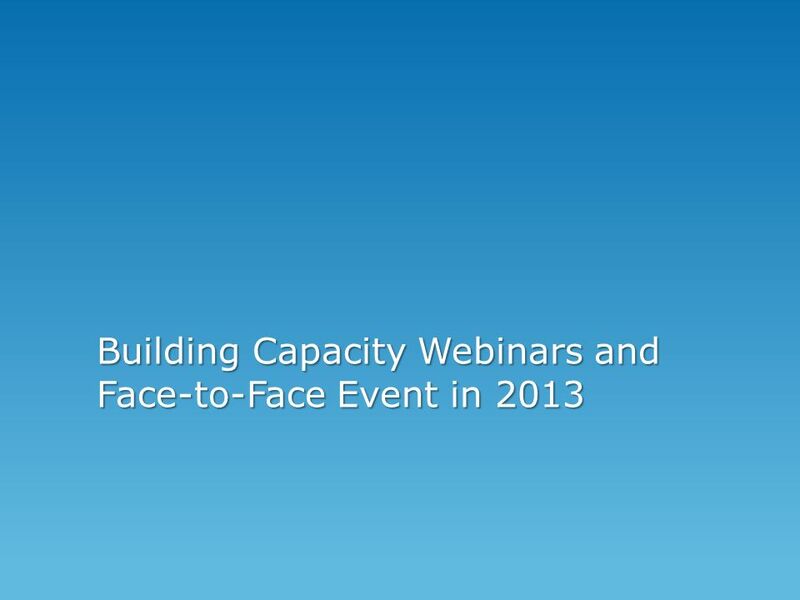 10 Should this type of session be offered again in Fall 2013? 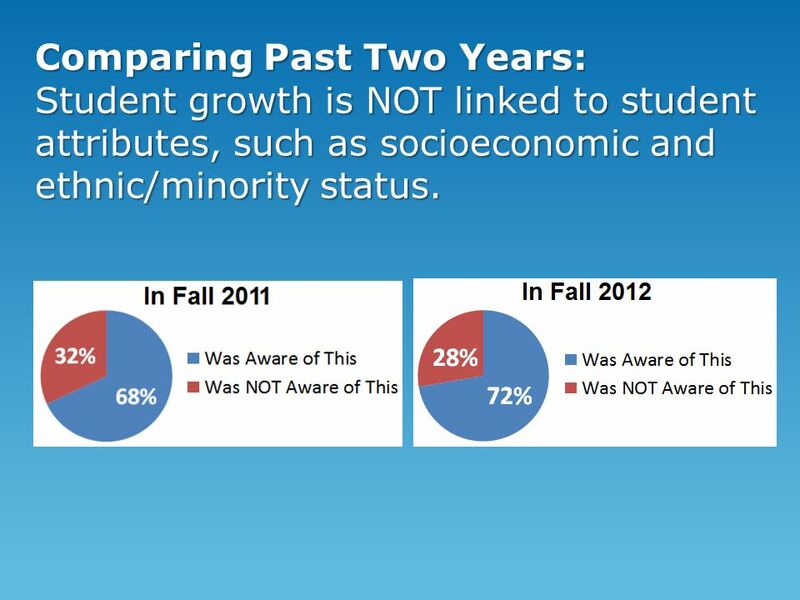 12 Comparing Past Two Years: Student growth is NOT linked to student attributes, such as socioeconomic and ethnic/minority status. 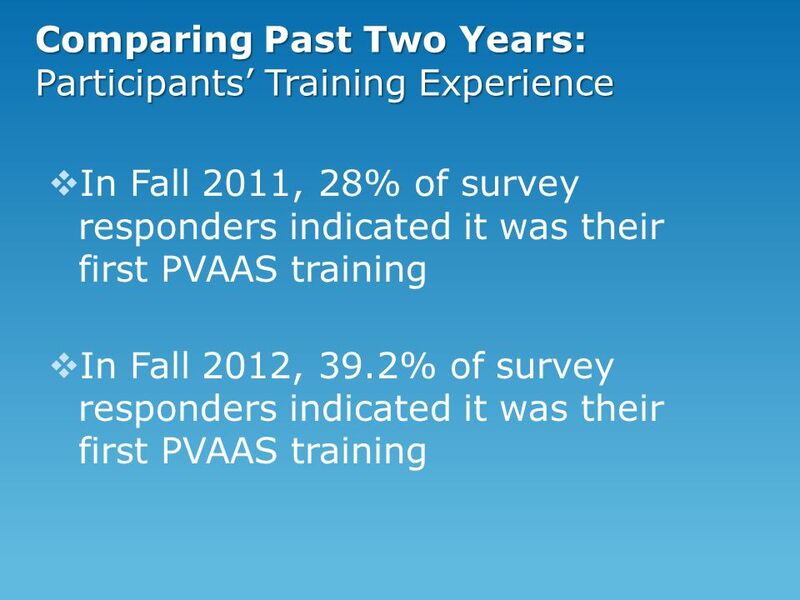 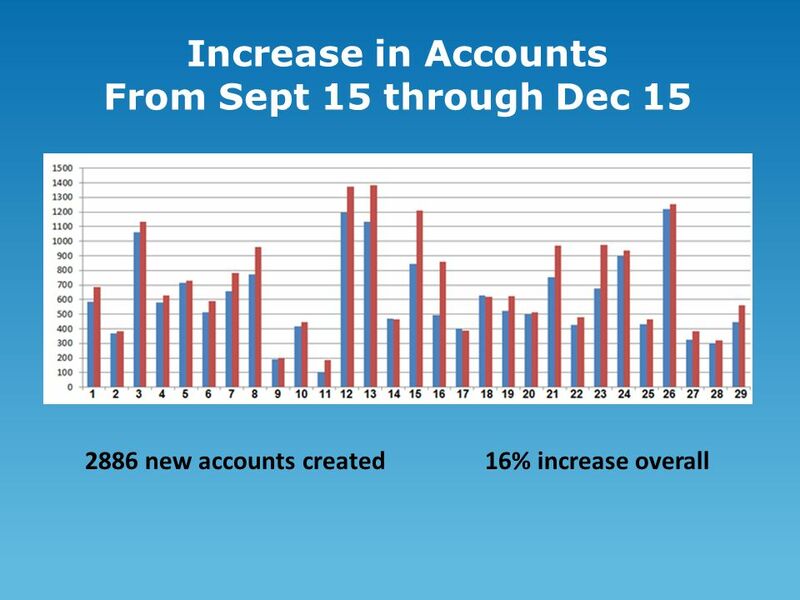 14 Comparing Past Two Years: My district uses PVAAS data to support the Comprehensive Planning process. 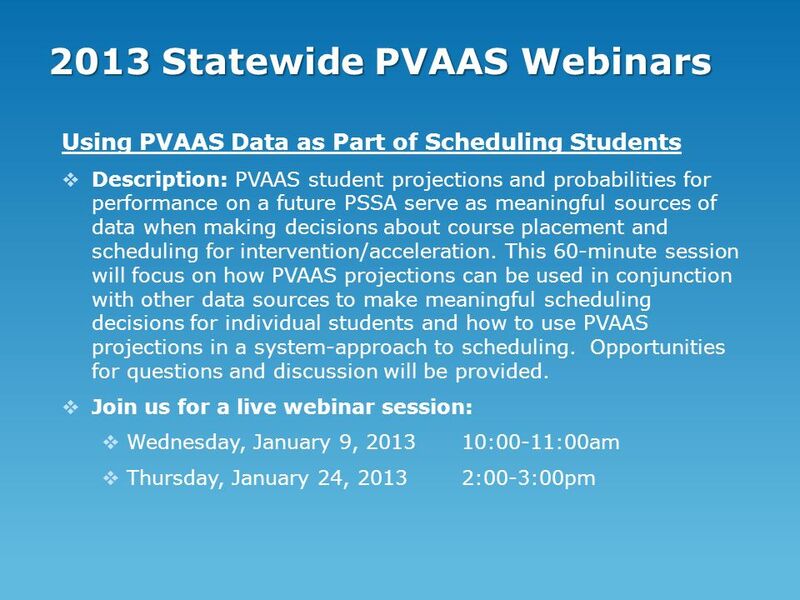 15 Comparing Past Two Years: My school uses PVAAS data as part of school-level/school improvement planning. 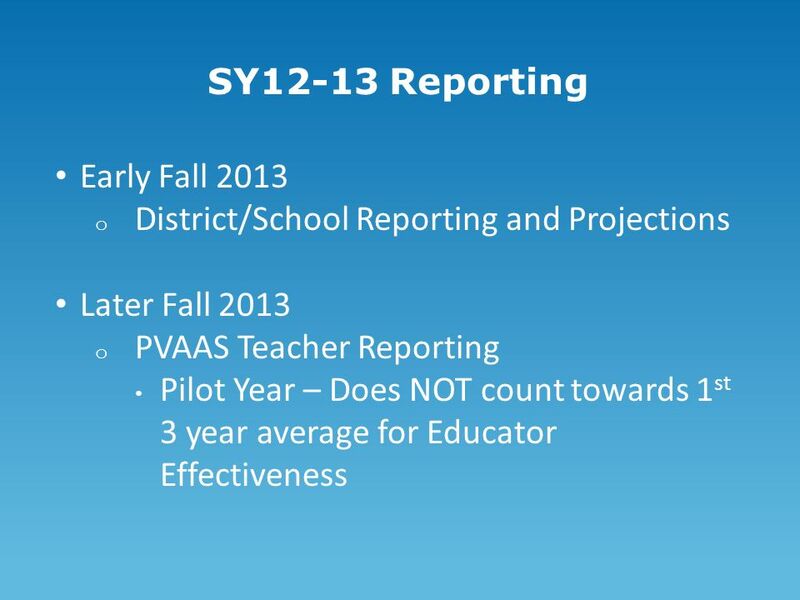 16 Comparing Past Two Years: My district/school uses PVAAS Value-Added Reports as part of grade/subject-level team meetings with teachers to analyze the growth of grade-level groups of students. 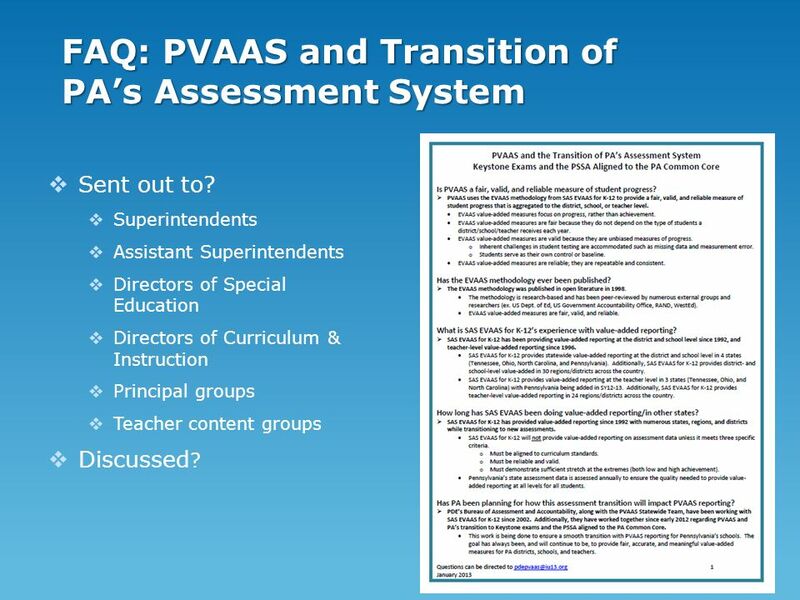 17 Comparing Past Two Years: My district/school uses PVAAS Performance Diagnostic Reports as part of grade/subject- level team meetings with teachers to analyze groups of students by performance level (advanced, proficient, basic, below basic) to determine if educational programming is meeting the needs of all levels of learners. 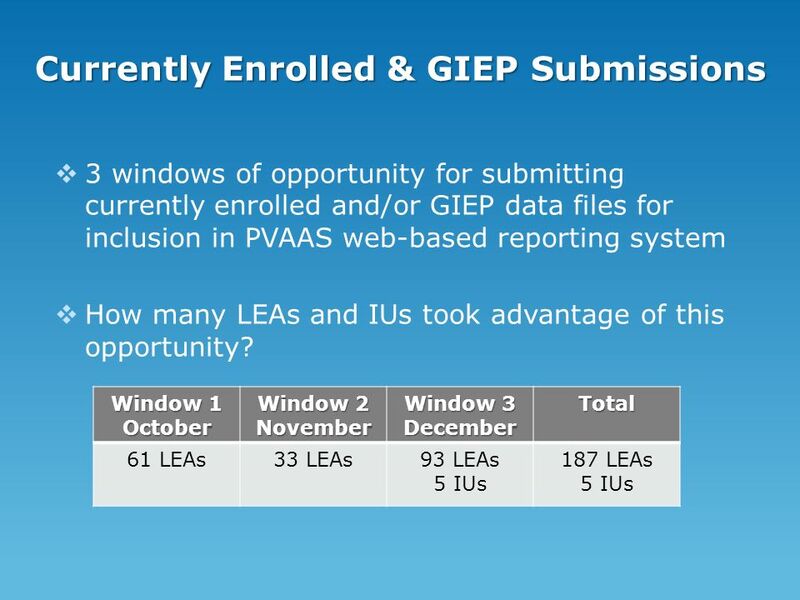 18 Comparing Past Two Years: My district/school uses PVAAS Performance Diagnostic Reports to analyze subgroups of students making more or less than one year's worth of growth (e.g., special education, ELL, economically disadvantaged). 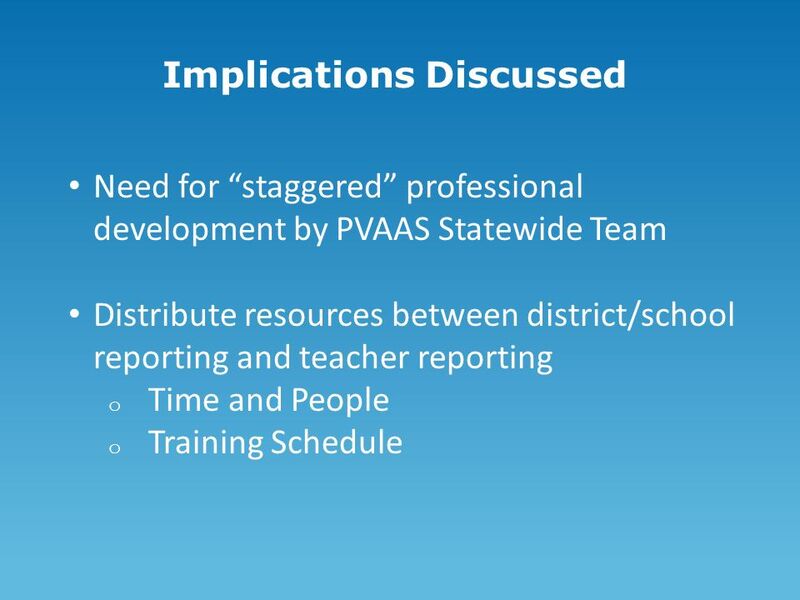 19 Comparing Past Two Years: My district/school uses PVAAS student projection data to plan enrichment supports for students with a HIGH likelihood of being advanced on a future PSSA. 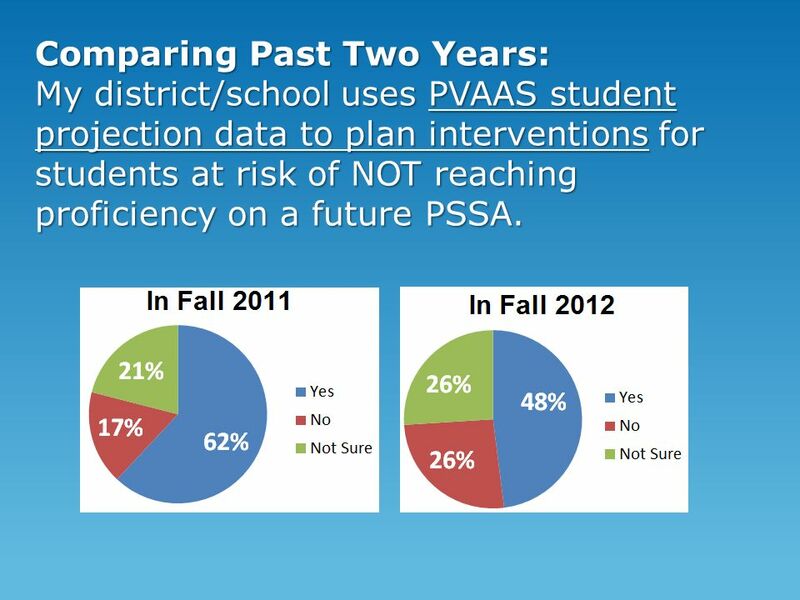 20 Comparing Past Two Years: My district/school uses PVAAS student projection data to plan interventions for students at risk of NOT reaching proficiency on a future PSSA. 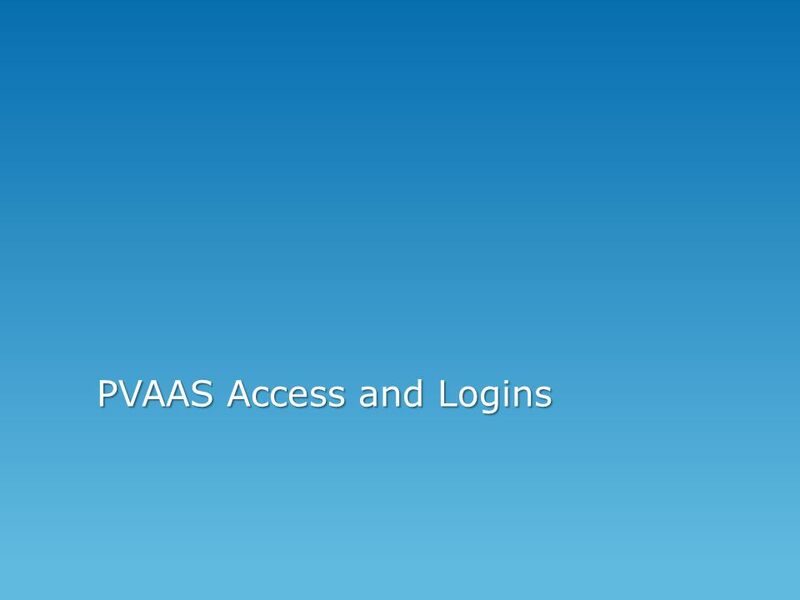 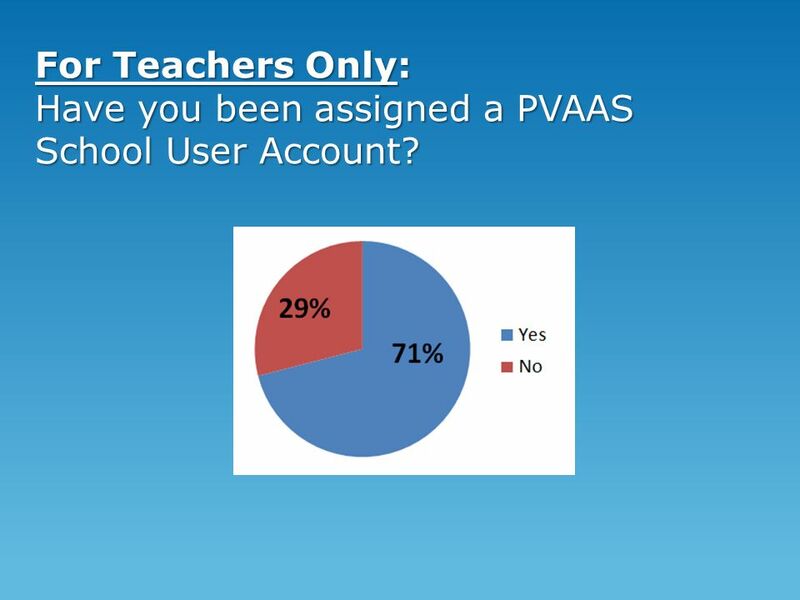 21 For Teachers Only: Have you been assigned a PVAAS School User Account? 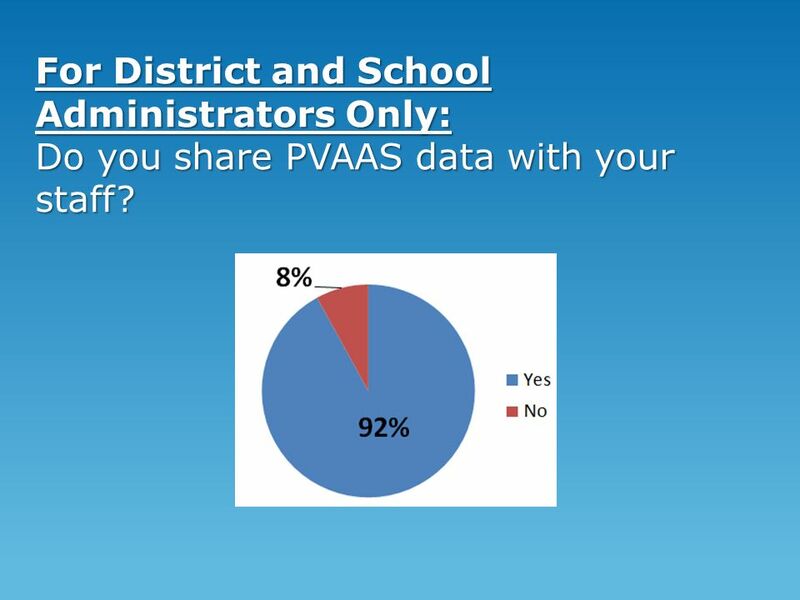 22 For District and School Administrators Only: Do you share PVAAS data with your staff? 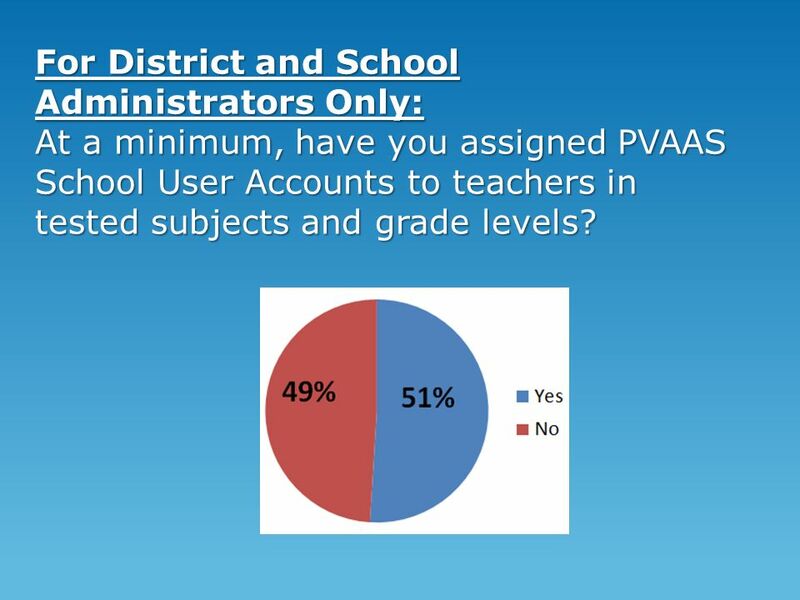 23 For District and School Administrators Only: At a minimum, have you assigned PVAAS School User Accounts to teachers in tested subjects and grade levels? 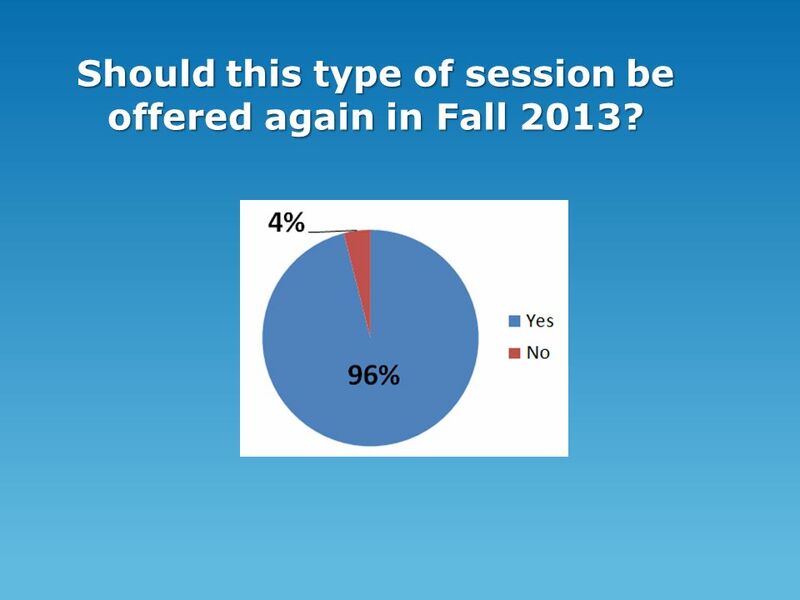 25 Offer this type of session again in Fall 2013? 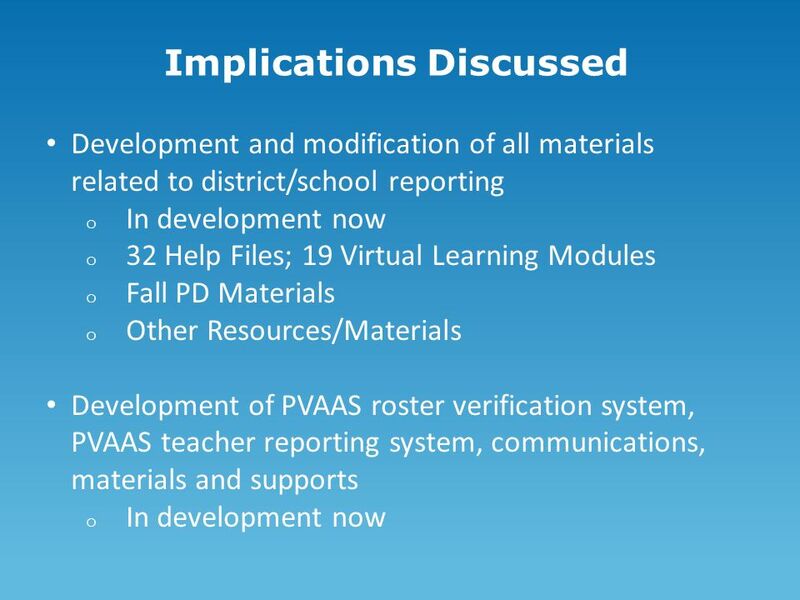 26 Comparing Past Two Years: Have you been asked to provide follow- up support for PVAAS to your districts and/or schools? 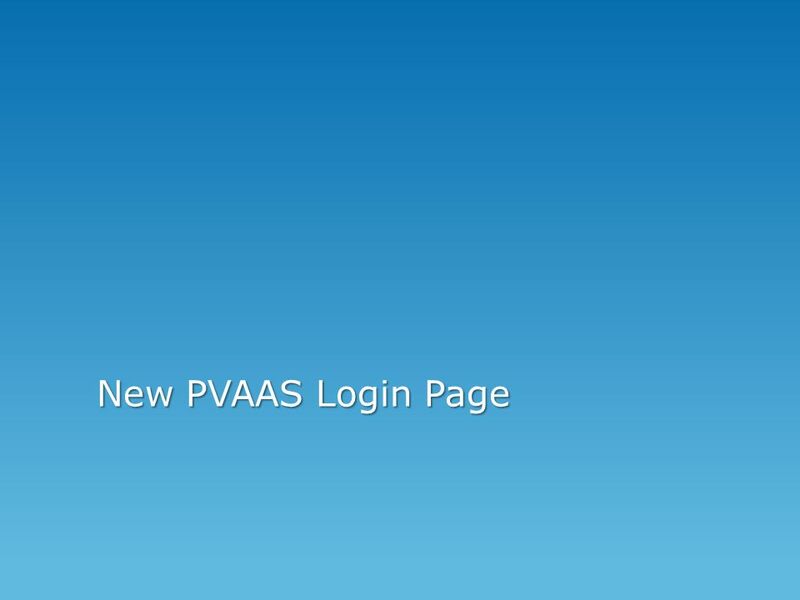 38 FAQ: PVAAS and Transition of PAs Assessment System Sent out to? 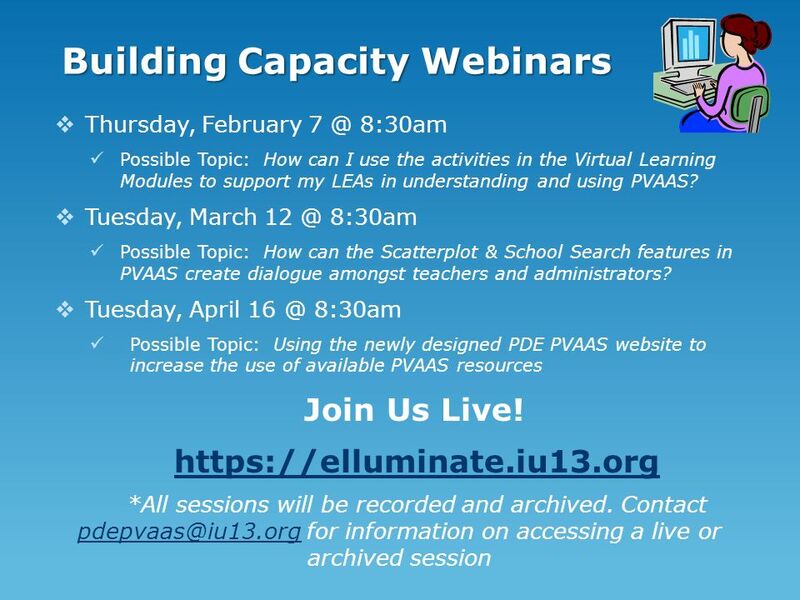 Superintendents Assistant Superintendents Directors of Special Education Directors of Curriculum & Instruction Principal groups Teacher content groups Discussed ? 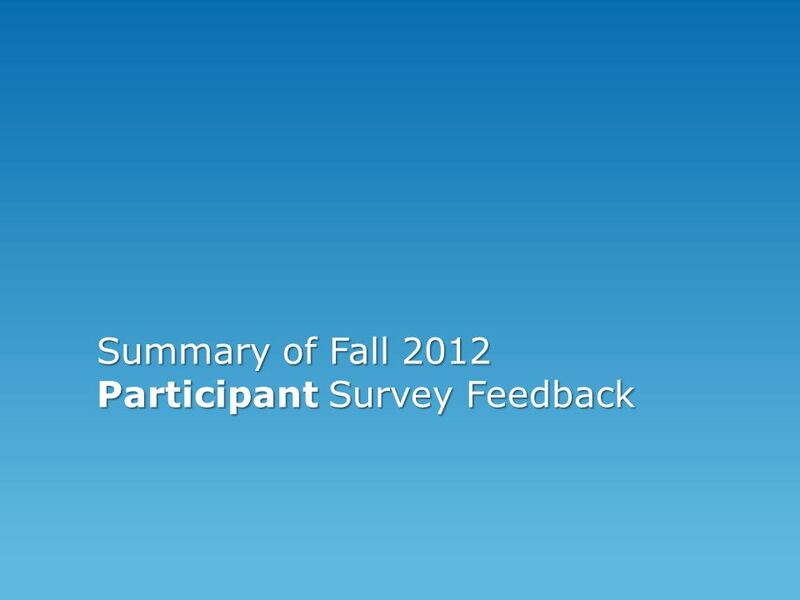 46 Thank you for your support! 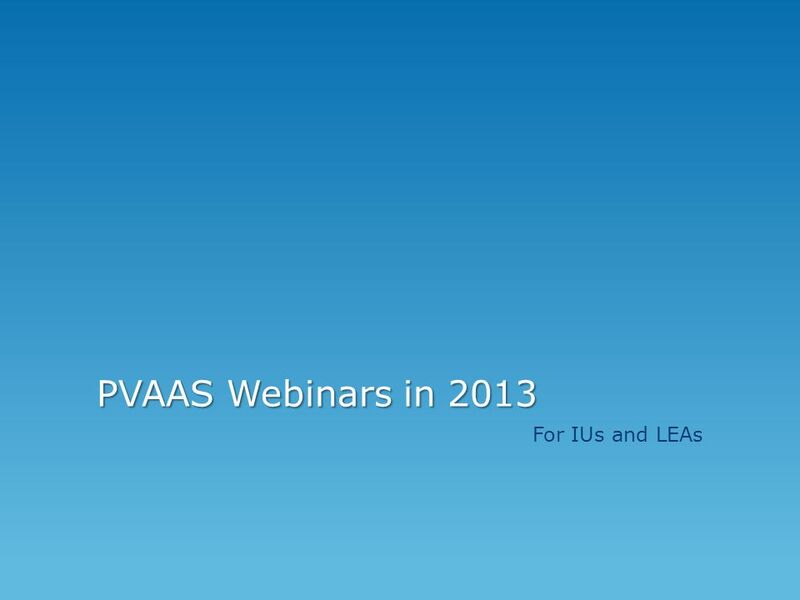 Download ppt "PVAAS Updates to PAIU CC PVAAS Updates to PAIU CC January 2013 Kristen Lewald and Joan Perekupka PVAAS Statewide Team for PDE Lancaster-Lebanon IU13." 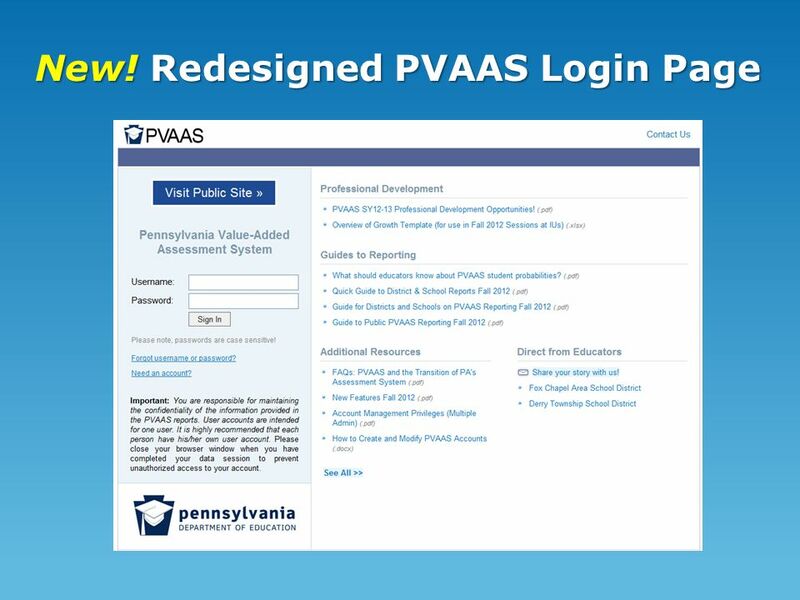 Pennsylvania Value-Added Assessment System (PVAAS) Bobbie W. Pfingstler, Ed.D. 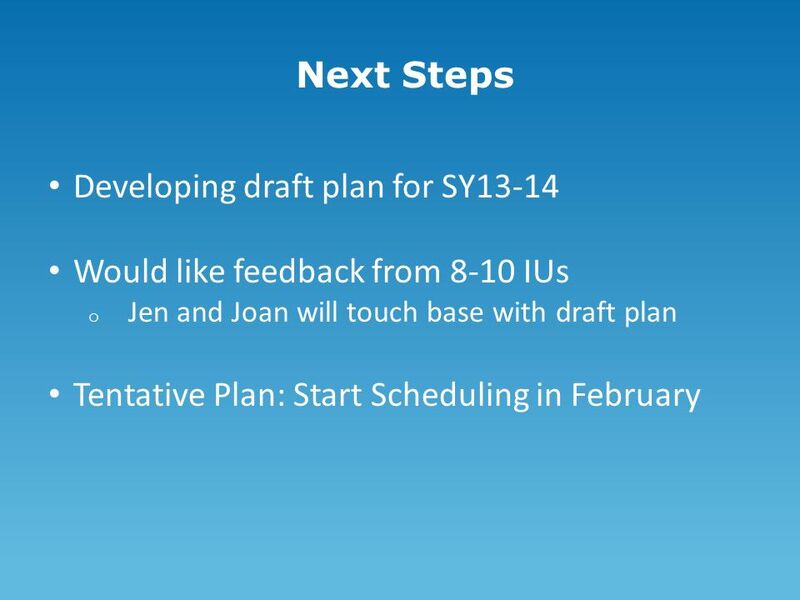 Director of Continuous School Improvement Services CIU # 10 Update to CIU. 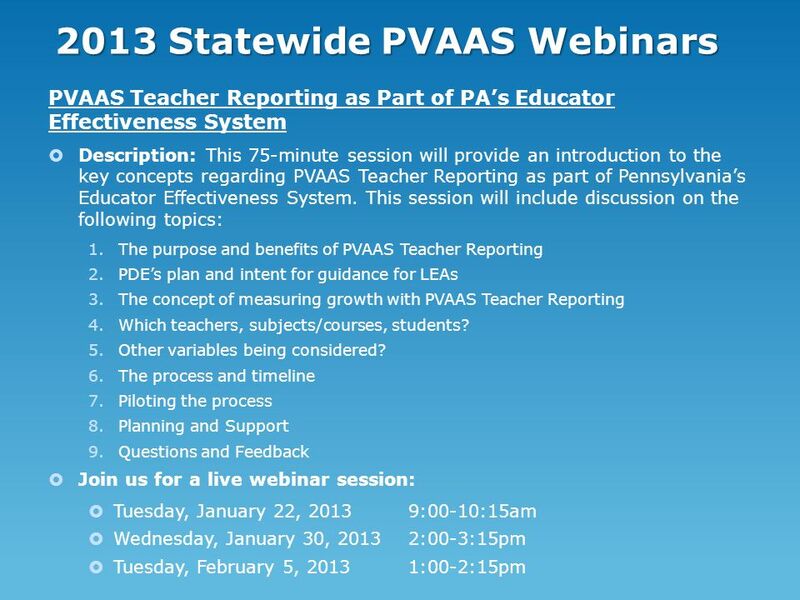 SY PIMS/Educator Effectiveness/PVAAS Teacher Specific Reporting Mini PPT for LEA Admin Use Provided by: PVAAS Statewide Team. 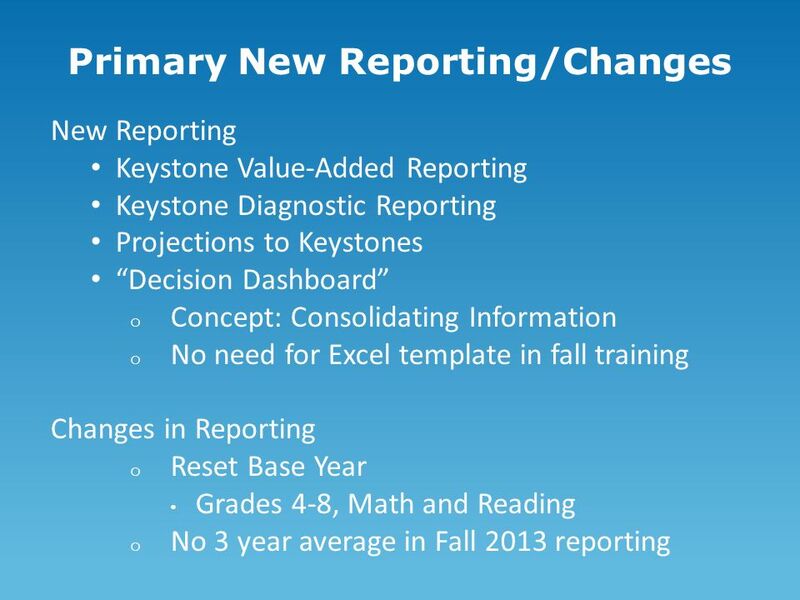 Products being integrated to create Home Base OpenClass Collaboration Schoolnet Instructional Tools and Assessment PowerSchool Student Information Core. 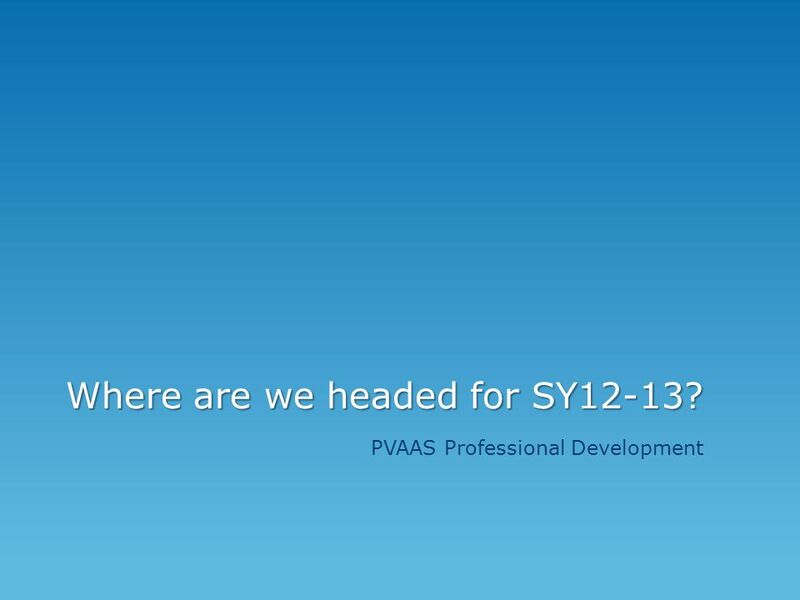 District Leadership Team Stakeholder Involvement in the District Strategic Plan! 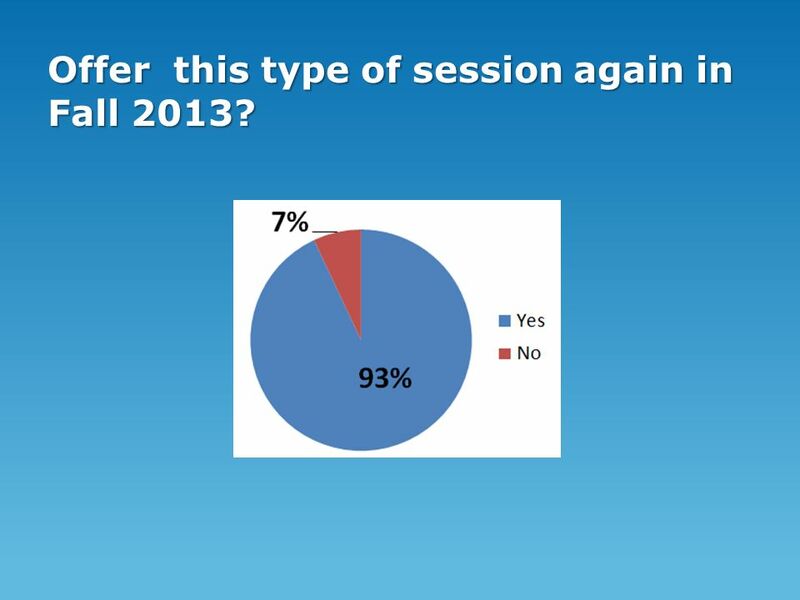 Session #4 April 12th, 2011. 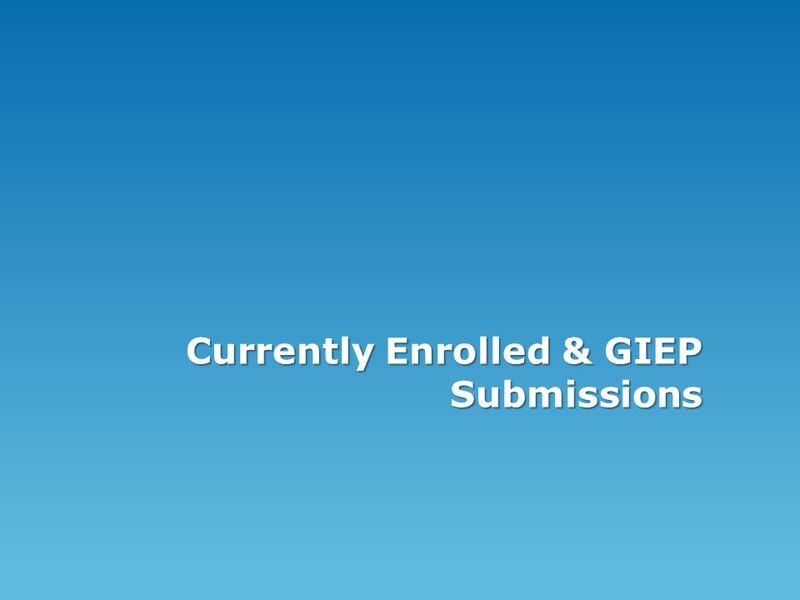 Electronic Personnel Master File (ePMF) 1 District Preparation Overview Managing the Electronic Staff Collection Process New York State Education.